Without a doubt, Tea is one of the most precious commodities to mankind because aside from the bevy of health benefits its brings, it is also long associated with relaxation and rejuvenation. Tea is good for the body and soul, and just as good for the skin. 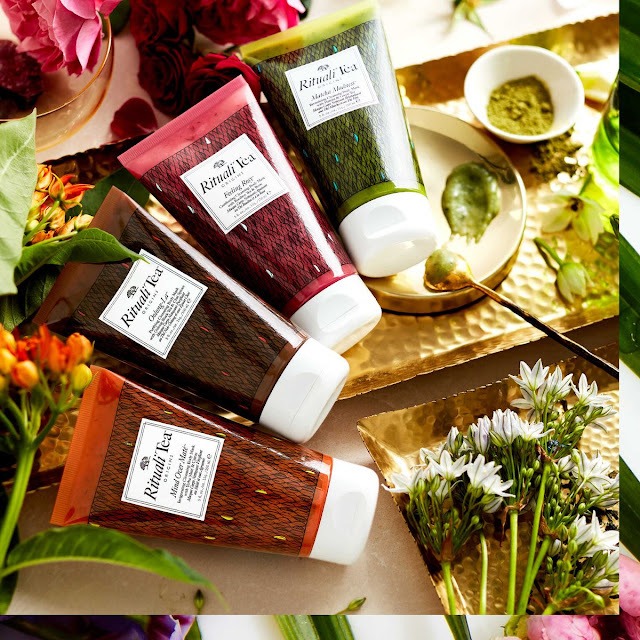 Origins explores this story with yet a new potential superstar range of masks called Ritualitea, Origins' first- ever tea- based mask collection. Thanks to Social Media, we are now in an era of DIY regimens - from food, fashion, and beauty projects, more and more people are seeing the importance and benefits of physical creation for the mind, spirit, and skill. 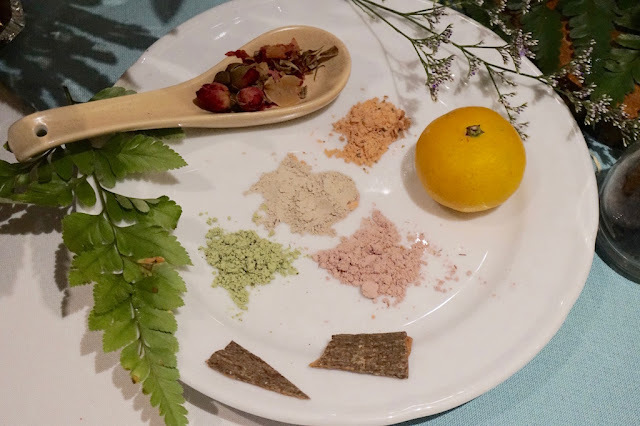 Every time we create from scratch, the end product always feels more precious and personal, and we understand the product more; Ritualitea offers this experience; with it, mask sessions will be more than just your weekly regimen; it will be your weekly ritual. And this is more than just a 'cool' skin care project; it is created to deliver that's why Origins has sourced the world for four of the most potent and popular tea extracts used in skin care, and created two new mask products that are meant to not only improve skin, but rejuvenate the senses too. 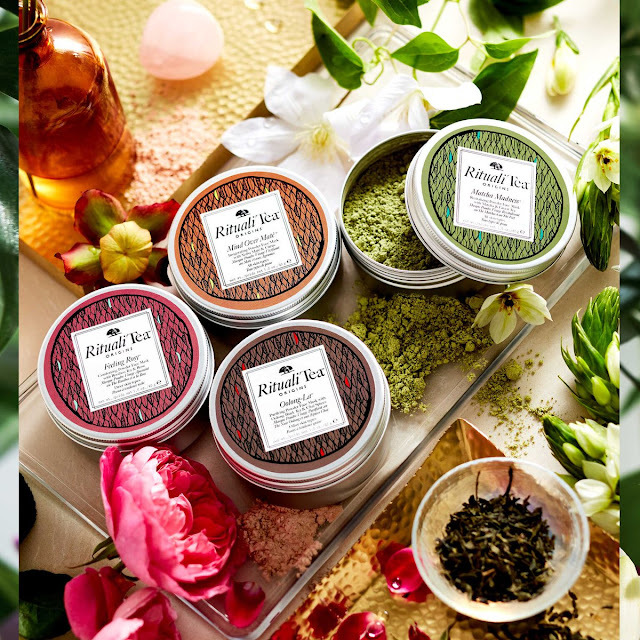 Ritualitea Powder Face Masks (P2,400.00) are made with tea- infused clay powder. The beauty of which is the product stays unadulterated and in its purest form right before usage. 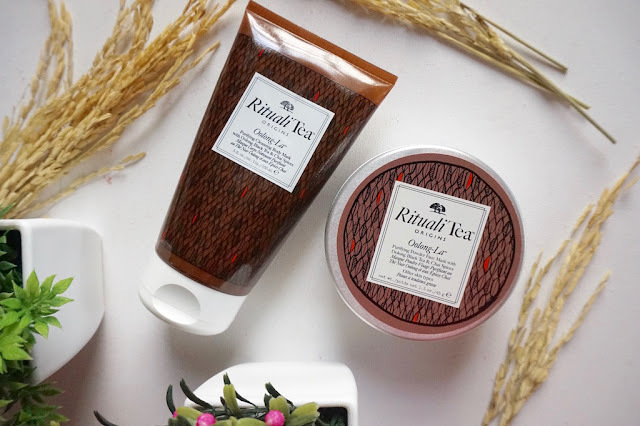 Ritualitea Cleansing Body Masks (P1,850.00) are antioxidant- rich masks with exfoliating sugars to deliver two skin care benefits in one use. Matcha Madness (Matcha and Green Tea; green powder)- revitalizing and has superb antioxidant benefits. L-Theanine helps relieve stress. For dry skin. Oolong-La (Oolong Black Tea and Chai Spices; pink powder)- purifying and helps rid skin of free radicals. Great for oily skin. Feeling Rosy (Rooibos Tea and Rose; beige powder)- calming and soothing. Has AHA and zinc that helps calm skin problems. For troubled, reddened skin. Mind over Mate (Yerba Mate and Citrus; yellow powder)- cooling and rejuvenating. Citrus extract uplifts the senses. For normal skin. 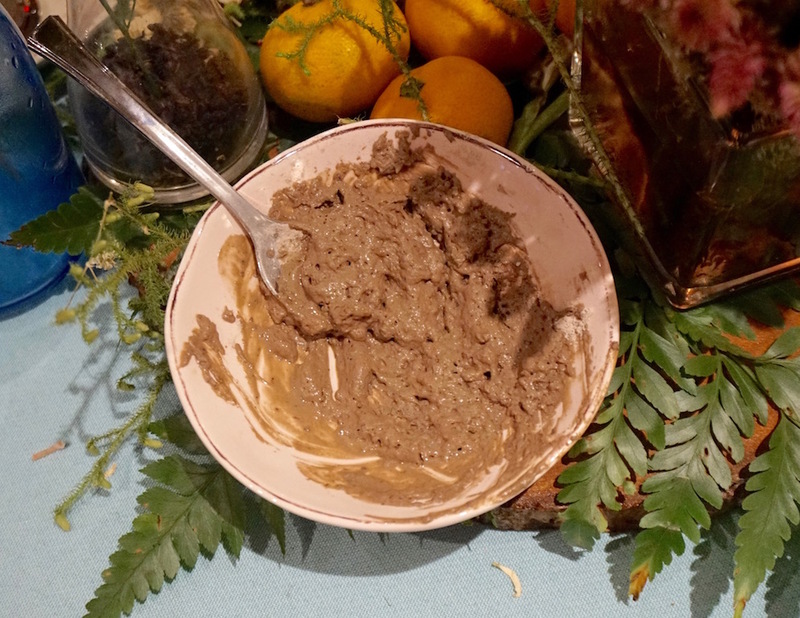 For the powdered masks, just add water and mix until it forms a paste. Can't wait to try this at home! 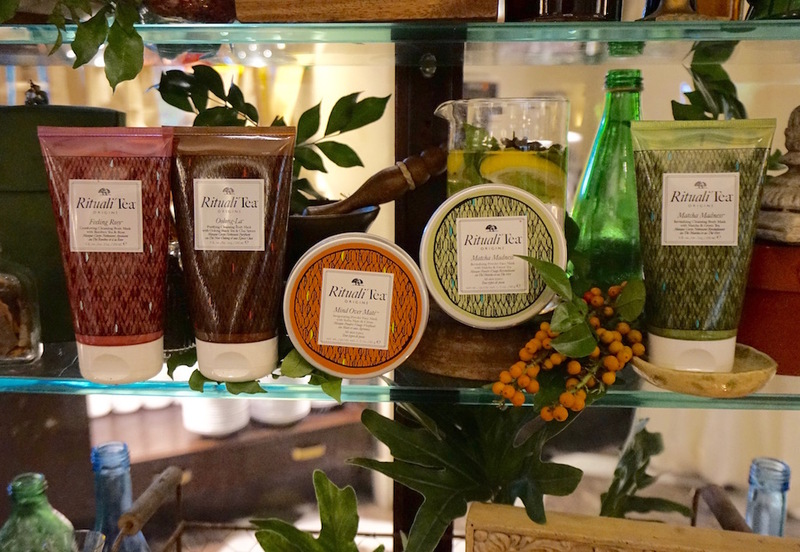 Origins Ritualitea collection is now available in all Origins stores and boutiques. Please visit ORIGINS PHILIPPINES on Facebook for more information about this collection. This post reminds me oof tea time! hehe I want to try Origins so badddd but the price huhuhu. OMG! I think that we get more use of the product with powder masks so I really do prefer it than the premade ones. I seriously love Origins, I always see to it that I have my stock of my face products and this must add to my stocks! Its a bit pricey for a full time mom like me. But given a chance, I would like to try Matcha Madness and Mind over Mate. I love tea and I love tea in my skincare! It seems that my skin likes tea a lot, they give a lot of benefits to my skin... I remember my mom would tell me that Muslims after drinking tea would use the residue and will put it directly to their faces to achieve that smooth, no-pores skin! I guess that technique is effective, most Muslims have nice skin! I initially thought they were food, especially the powdery ones LOL silly me. But what a unique way of using masks! The packaging, color is amazing plus you get to experience a new way of putting those masks on. One thing that I really like about it is that its my first time to heard something like this and it's so unique. The products looks so adorable but in my opinion it is so expensive huhuhu especially for a student like me. I can't afford it even if i want to try the face mask 😭😭 Thank you for this review Ms. Martha! ❤ and teach me on how to make so adorable flatlays also. Huhu I'm so jealous. I agree! I drink coffee in the morning for that boost of energy and I drink tea in the evening to help me unwind and relax after a long day at work! I love Green Tea! It tastes so fresh, clean and light. I always feel rejuvenized and detoxified afterwards. I hope I get to try these masks too as I think these would give me a similar effect when I drink tea but on my skin! And I feel the powder/clay mask would last me a long time!